Elizabeth Arden fragrance and perfume list. Elizabeth Arden is a cosmetics firm established by Florence Nightingale Graham, she later changed her name to Elizabeth Arden. After Arden's death in 1966 the company was purchsed in 1971 by Eli Lilly, then sold to Unilever, then in 2000 to FFI Fragrances which then changed their name to Elizabeth Arden Inc. Brands under Elizabeth Arden include: Halston, Elizabeth Taylor, Britney Spears, Gant, Mariah Carey, Hilary Duff, White Shoulders, Daytona 500, Danielle Steel, Geoffrey Beene Grey Flannel, Bob Mackie, Badgley Mischka, Alfred Sung, Hummer, Nanette Lepore, Cynthia Rowley, Lulu Guinness, Rocawear, Alberta Ferretti, Kate Spade, John Varvatos; and Liz Claiborne brands, as of 2008: Liz, Usher, Juicy Couture, Lucky Brand, Curve, Bora Bora and Mambo. As of 2012, brands include: True Religion and BCBGMAXAZRIA. 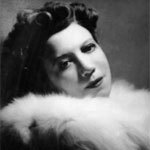 Read more Elizabeth Arden History.